Importing files from a record or manual to a system or to the computer is both a time-consuming as well as daunting task. Not only can having to miss a single detail cause a major problem to a system or process, it can also stain the credibility of a company or business especially for those who are handling consumer accounts. While it is indeed possible to work on these tasks on your own, you may not have enough time to accomplish large volumes and also, you may not have enough skills as well as the right software for managing the files, copying details, transferring content, and many others. It is for this reason that many opt to hire the services of a transcriptionist who are able to take over the task of transferring details and reports over to a system with the shortest time possible without compromising quality. While it is difficult to find such service providers over the internet, there is indeed one that has been a proven provider for transcription services along with secretarial services – this company is E-Typist. In this article, we will share with you why E-Typist is among the leading providers of transcription services and what other services it can offer to business owners and entrepreneurs. E-Typist is among the first of its kind to successfully make its mark in the online transcription industry. It is owned and headed by Vivian Saxe who is an expert in the given field with almost 26 years of experience working with lawyers and individuals in private practice. 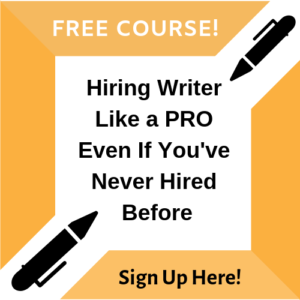 Having to be a transcriptionist for more than 2 decades, she decided to expand her services and venture into the online world. The company has established 11 years of working with businesses and clients coming from all across the globe. As soon as the company noticed a drastic increase in clients, they figured that they did not have enough hands to do the work. For this reason, they partnered with a popular platform provider, ChartNet Technologies and came up with a secure transcription platform to help the website automate some of the processes used for their services. Among the upgrades that came from the partnership is the encryption of audio files and the faster and more accurate file management system. Today, E-Typist is at its peak with its best systems and tools. With the advanced technology backed up with a solid experience, the company can provide transcription services anytime and in any volumes. Also, being cloud-based opened doors to other service opportunities such as secretarial services which are also among the basic tasks that transcriptionists do. 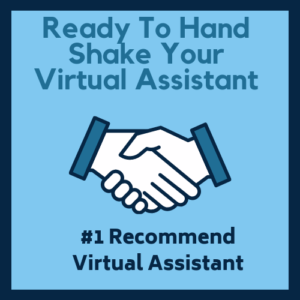 Furthermore, the company also offers virtual assistant services along with administrative services. This means they can also do content management, data entry, data analysis and other administrative works. Starting a project with E-Typist is fast and easy. It all starts with contacting the company through their contact us page. Clients can either use the call or email their inquiry to their specified contact details. Among their top inquiries cover legal secretarial services wherein a client is assigned a private legal secretary to work with them. Just like the regular secretary, the staff provided by the website can also perform the vast range of tasks expected out of a legal secretary which include transcription, data sorting, data analysis and management and performing administrative tasks. As well, the secretary can also make phone calls as well as manage schedules. As soon as the client receives their access or when they have been given a user ID to access the websites’ member page, they can then immediately commence working. Starting work involves sending the audio files or the files to be transcribed or managed by the assistant or transcriptionist. The client will be able to use an app which records an audio for the file to be transcribed. In this regard, the client will have to access the system and software used by the website to manage their audio records. As soon as all audio files are transcribed, the file will be emailed to the client for further review. Whenever there are corrections required, the client can always request for revision without charge. 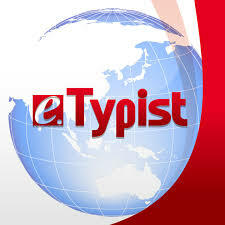 When it comes to pricing, E-Typist is leading among its competitions. It is much cheaper compared to the more prominent and popular transcription service providers today. It offers a 1.2 cent rate per word for general transcription services and the files can be expected within a turnaround time of 24 hours – something that is not achievable from other transcription service providers. The finished files can also be processed and saved in any desired platforms such as in word, text file, pdf, and others. For more technical types of audio files such as interviews, conference calls, and conversations, the company offers a rate of 1.5 cents per word which still makes it much cheaper than other service providers. Lastly, audio recordings from court proceedings and legal ventures are transcribed for 1.75 cents per word with the highest accuracy and speed possible. All transactions along with the other details of the project are forwarded to the client after every job order and are also forwarded to the client every month. There is no doubt that this is among the best transcription website on the internet today. This is for the reason that they offer a free consultation to clients prior to starting on working on anything. With the free consultation, the client will have an idea of the processes which are going to be involved, the expected turnaround time of each audio file to be transcribed, along with the charge of service. From this, the client can also negotiate around the final price of the service. Each assistant or secretary that is assigned to a client is well-experienced in the legal practice field and are all equipped with the necessary skills, tools, and techniques to provide flawless transcription work. As the secretary and the client work, they are able to access the website system to make the processes and progress monitoring seamless as well as organized.